Morning fog rolls over Longs Peak and Bear Lake on a beautiful summer morning. 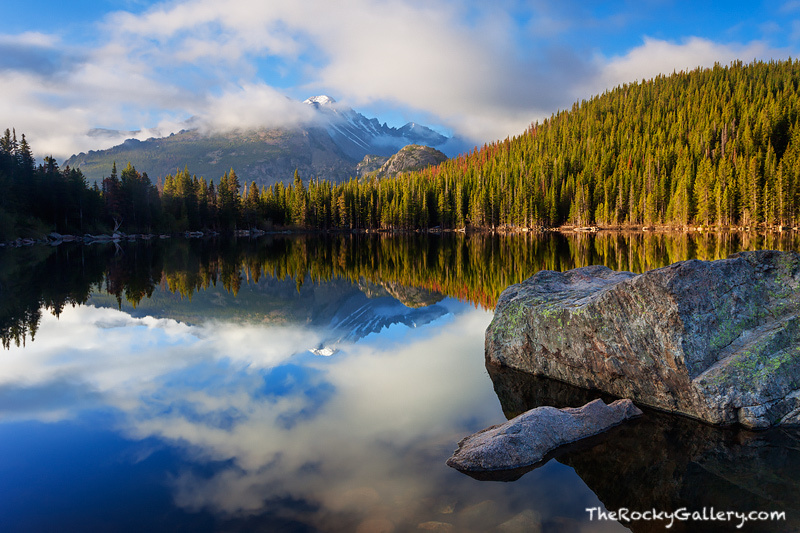 Longs Peak, the highest peak in Rocky Mountain National Park acts like a beacon as the clouds glide in and around this iconic Colorado scene. Photo © copyright by Thomas Mangan.